My daughter informed me this morning that since it’s Valentine’s Day, M&Ms were in order for breakfast. As cute as she was (especially with her pronouncing them m-E-m’s) we settled on a few red ones to celebrate and had our usual egg breakfast. 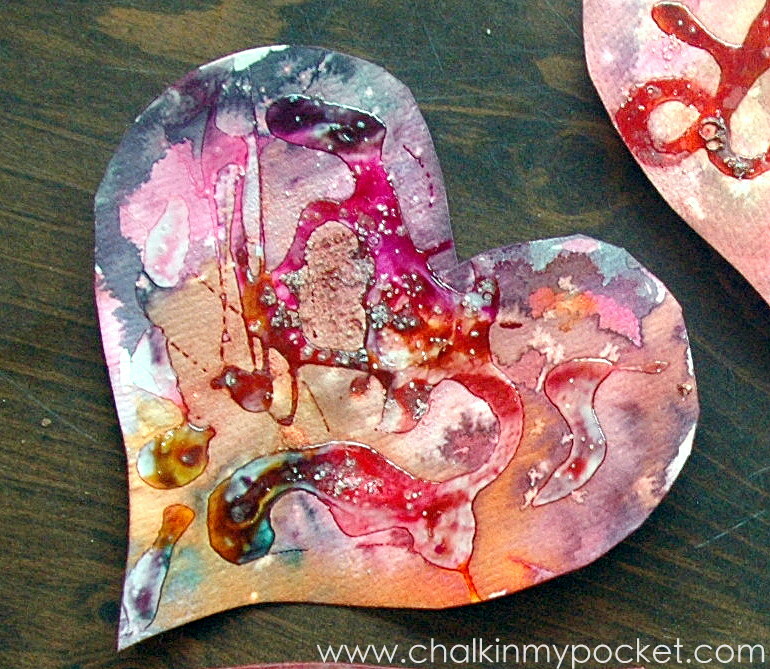 SO — Batik on Paper for Valentine’s Day it is! A good quality watercolor paper is in order for this project, things are going to get really wet. Using Elmer’s Blue Gel school glue, create a pattern or write some words (that’s me who did “love” in case you were wondering, heeehee! )Allow to dry over night. This is probably the hardest part for Claire, the gel will feel dry in about an hour, but you’re going to be painting over it so make sure it’s really, really dry. I’ve referenced them all over the blog, and these are my favorites. They’re super concentrated so diluting them to get more mileage is fine. Unlike fabric batik, we’re leaving the glue in place. My original goal back when I first attempted this was to peel off the glue (like a non-stinky rubber cement to make kid friendly watercolor resist paintings). Leave the glue alone to dry it will remain raised and intensely shiny. Lastly, sprinkle some table salt around the picture to chase some of the colors away. Claire used a liberal amount on a few of these hearts and the crystals look like snow on the paper now! And for those of you who’d like a visual aid (I’m still figuring out this pinterest thing, bear with me) for your digital pin boards….here ya go! Here are the exact products I’ve used. I think the watercolor paper in a pack of 100 is the most affordable option in terms of paper. You want something really thick and the 15 sheet pads are really pricy at my local crafts store. gorgeous! 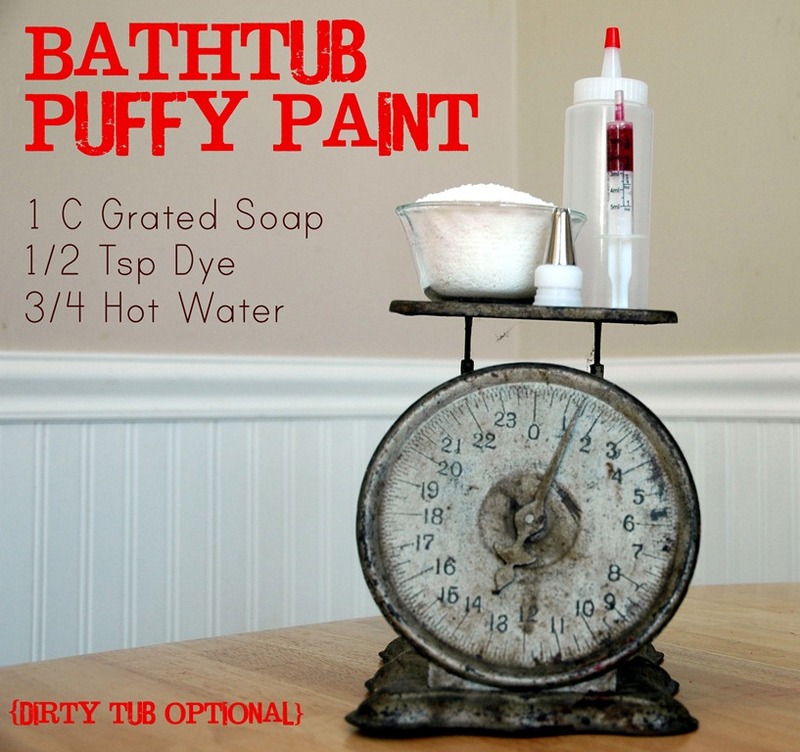 I have yet to try this but I will soon – love the finished look & each one is so different. Lovely! Thanks! I just love how easy this one is, and a cool result to boot! Very cool. I can't wait to try it out! Does it have to be the Elmer's Blue School Glue Gel or can it be any kind of crafts glue? 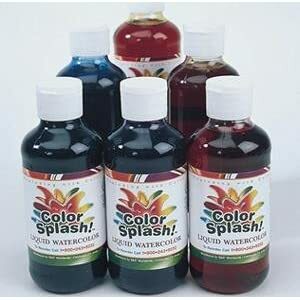 Hi Mimi, the blue school gel will work best for the effect, but you can certainly use any type of glue that hardens when it dries. Experiment and let me know what you come up with! Thank you for answering my question. When I do this craft I will let you know how it works. I have several glues I am anxious to try. Hi “the kollaborator” — you're totally right. This isn't batik at all. I tried to craft a batik on paper project and failed…but LOVED this raised effect result. That's why it's in quotes. Here's the original post, you can see where we pulled off the glue and it tore the paper. Sometimes the mistakes we make turn into something great anyway! 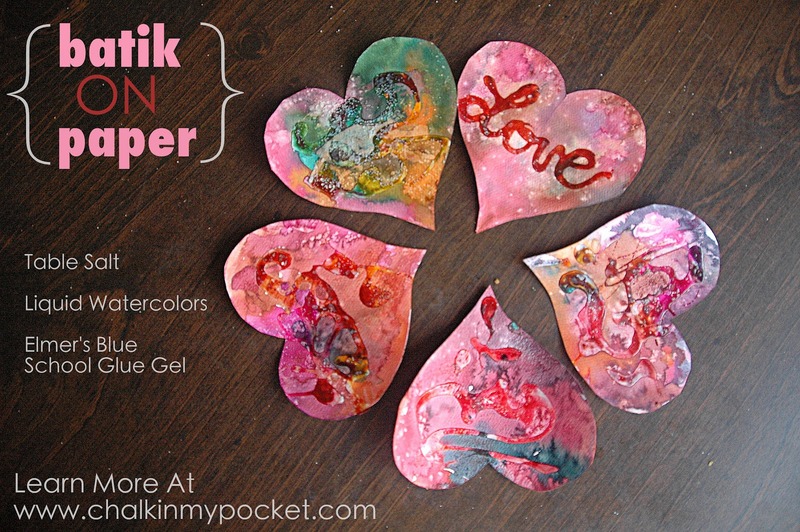 I love to find new “batik” methods and I've been trying to figure out a good project for my son to make valentines. This is perfect! So glad I found it! Thanks! Hello! The glitter was build into the watercolor paint, I didn’t add anything.